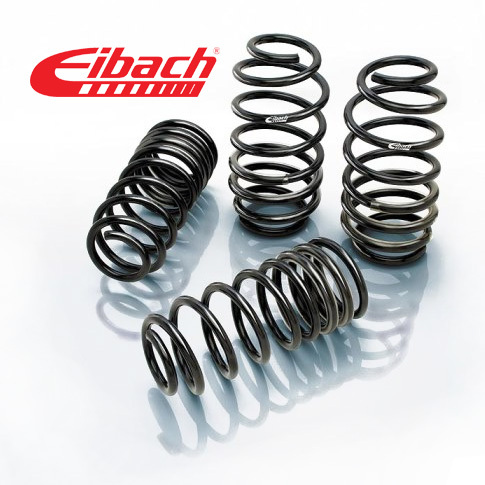 We've just added the Eibach Pro Kit Springs for Porsche and BMW to our catalog! Eibach is the #1 choice of Automotive Enthusiasts Worldwide. The Pro-Kit will lower your vehicle an average of 1 - 1.5 inches (depending upon the make and model of your vehicle) for a lower center of gravity, reducing squat during acceleration, body roll in corners, and excessive nose-dive under braking. The Pro-Kit offers overall improved handling and a more aggressive appearance as well. Click HERE to Upgrade your Springs!